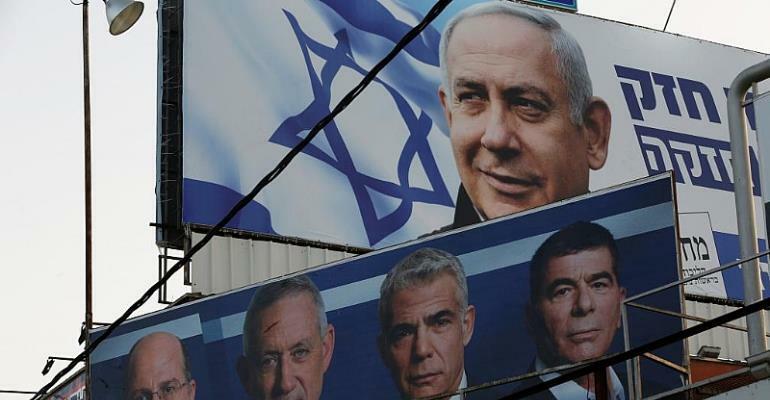 Over 6 million Israelis are casting their votes on Tuesday in legislative elections seen as a race between Prime Minister Benjamin Netanyahu and former military chief Benny Gantz. Benjamin Netanyahu, the 69-year-old leader of the right-wing Likud Party, is seeking a fifth term in office but he is also facing corruption allegations. Benny Gantz, 59, head of the centrist Blue and White (Kahol Lavan) alliance, is challenging Netanyahu on security and promising cleaner politics. Ten thousand polling stations opened across Israel on Tuesday morning and close at 1900 GMT. But the victor may not be decided immediately. No party has ever won an outright majority in the 120-seat parliament, meaning days or even weeks of coalition negotiations lie ahead. In a widely criticised move to lock down extra right-wing seats, Netanyahu brokered a deal in February making it easier for candidates from an extreme-right wing party that many view as racist to enter parliament. The prime minister posted a video on Twitter and Facebook calling on voters to get in touch. He invited them to chat with him personally on Facebook messenger. Voters have also reported receiving SMS messages inviting them to personally chat with the Netanyahu. Gantz, on the other hand, shared a video of himself set to music at voting station. Israeli daily 'Haaretz' reported that Israel's Central Elections Committee chairman Judge Hanan Melcer filed a complaint to the police after the Likud party provided right-wing activists with 1,200 body cameras to monitor Arab polling sites. The police are currently waiting for the Central Elections Committee's decision to determine whether the instalment of the camera is an obstruction of the voting process.